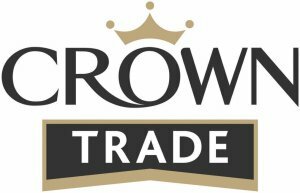 Crown Trade Concrete Floor Paint is a high VOC content mid sheen finish. It is a washable product that is applied by brush or roller. It is suitable for interior use. Touch dry in 2 hours and recoatable after 6 hours. A fast drying decorative solvent-borne paint with a semi gloss finish for use on correctly prepared concrete floors. Suitable for use in light traffic areas such as shops and showrooms. Ensure all surfaces are sound, dry, clean and free from dirt, oil, grease or other contamination. Ensure all loose and flaking material is removed to a firm sound edge. Untreated floors: An effective damp proof membrane must be present beneath concrete and masonry floors. Remove surface latence using a proprietary cement cleaner to instructions. New concrete must be left at least six months to dry out in depth before painting. Previously painted floors: Thoroughly sand, rinse and remove all residues. Avoid the inhalation of dust. Wear a suitable face mask if dry sanding. Do not apply over bituminous or asphaltic composition or certain treated floors. 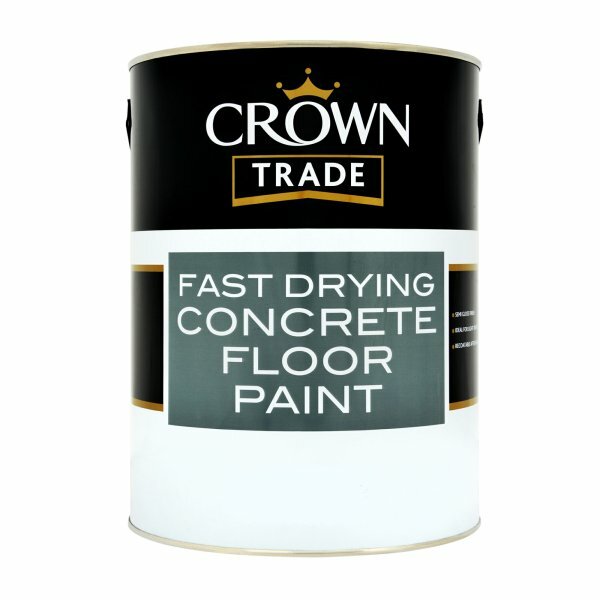 Crown Trade Concrete Floor Paint should not be used where it is likely to be in contact with standing water. Power floated floors should be surface etched by blast treatment. decorating costs caused as a result of an incorrect colour being applied. up to 10% white spirit. For the second coat use as supplied. Previously painted floors: Any bare areas prime as for untreated floors. 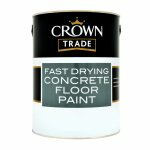 Apply one or two coats of Concrete Floor Paint as supplied. Do not apply in temperatures below 8°C or in high humidity. Note: in some instances a third coat may be necessary. Up to 15m² per litre on a smooth non absorbent surface. Recoatable after 6 hours, depending on conditions and film thickness. Clean equipment with a proprietary cleaner immediately after use. Ensure this pack is stored upright and secure at all times. Crown Paints Ltd cannot accept liability for damage caused by spillage.